Looks like fun? 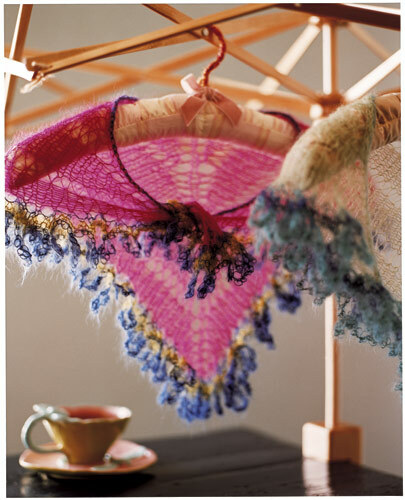 Go get the book – it has amazing patterns in it – you will want to knit them all! Or, maybe all of them 😉 Get some Kidsilk Haze and get your knit on! Join us and make this gorgeous creation for fall! And, when you stop by to say ‘hello’ to Becky – congratulate her on her new job!! Thanks everyone – and have an awesome weekend!! Oops, gang. Sorry the book is “Greetings from the Knit Cafe”! !